You are here: Home / Farming / What Does USDA Organic Mean? Have you ever looked at a label and asked yourself – What does USDA organic mean? As millions of Americans, like yourself, seek out healthier and safer foods to feed their families, the food labels you see in the grocery store can be confusing and often times misleading. An organic label signifies that a particular food or product has met specific requirements before coming to your table. By familiarizing yourself with the process by which foods become USDA Organic certified, you can be more confident that what you purchase is both genuine and trustworthy. In general, foods that meet the USDA standards to be labeled as organic have been produced using methods that are environmentally friendly – protecting protect the environment and conserving the local ecosystem. Organic farming practices rely on natural processes that contribute to “soil, crop, and livestock nutrition”, and engage natural pest and weed management while preserving or enhancing natural biodiversity. The USDA oversees three types of organic producers: crop farmers, livestock farmers, and producers of organic products. Organic farms must be inspected and certified annually, ensuring that organic practices are used and used consistently. • Soil fertility. Healthy soil is the key to healthy crops and delicious foods. Rather than use synthetic measures to promote soil health, organic farmers use compost, animal manures, or green manures to invigorate the soil. Use of other fertilizers is strictly prohibited. Organic farms must also plant or use cover crops to protect the topsoil from wind and water erosion. Methods of crop planting and harvesting must also be used to conserve and protect the soil. • Seeds and planting stock. Organic farmers are required to use organic seeds when possible, or conventional seeds that do not come from genetically modified sources or that are not chemically treated. • Crop rotation. Unlike conventional farms, organic farms are required to engage crop rotation strategies that allow the soil to rest and recuperate after nurturing plants. Farms must plant crops from a different family on the same field and allow a number of years to lapse before planning an initial crop again. • Managing pests and weeds. When thinking about what does USDA Organic mean, most people typically think of non-chemical pest and weed management. Organic farmers instead rely on prevention, avoidance, monitoring, and suppression to minimize the impact of pests and weeds on crops. • Maintaining crop integrity. After using the above methods to meet organic standards, organic farmers are also responsible for keeping commercial and organic crops isolated so that chemical fertilizers or pesticides don’t overspray on organic certified crops and fields. • Animal living conditions and facilities. 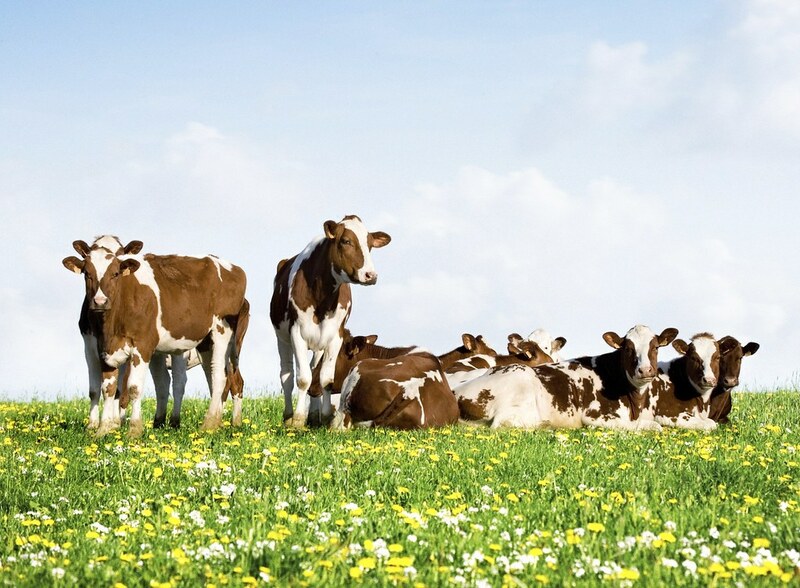 Organically raised animals are required to have access to outdoor areas with direct sunlight and shade, areas for exercise, clean water, and fresh air. Animals should also have access to shelter that can protect them from severe weather. • Grazing. Animals that consume grasses as their main diet must be provided access to sufficient pasture during the regular grazing season. • Animal health. Organic farmers are encouraged to select animal breeds that are well-suited to the environment and climate in which they will live. Generally, animals that are better adapted to their environment remain healthier and less stressed. Proper nutrition and use of preventative medicine, such as vaccines, also help boost immune health. Use of antibiotics and growth hormones is prohibited. Organic farmers are encouraged to use grazing management, proper sanitation, and minimize exposure to disease and parasites to decrease illness. • Organic feed. What does USDA organic mean in relation to animal’s feed? As might be expected, organic animals must eat exclusively organic feed that is grown and processed from certified organic farms. • Animal origin. Organic animals must be raised as organic from the last third of their gestation. Birds used in poultry or egg production must be raised as organic from their second day of life. What Does USDA Organic Mean for Product Processing? • Organic ingredients. Processors who wish to label their products as organic must use, at a minimum, 95% certified organic ingredients to comprise their product. For the remaining 5%, ingredients can only come from a list approved by the USDA. Other products, receiving a label with “made with organic”, may include up to 30% non-organic products with the remainder of ingredients approved for organic use by the USDA. No ingredients can use genetic modification, sewage sludge, or ionizing radiation. • Commingling and contact. Organic products cannot come in contact with non-organic materials during processing. Furthermore, if using the same equipment to process organic and non-organic products, equipment must be cleaned and sanitized between uses. • Managing pests. In managing pests in the areas where organic products are produced, processors are required to meet the same standards as crop farmers – no chemical pesticides or fungicides may be used as these may accidentally contact organic products. Obtaining and maintaining a USDA organic certification means significant investment and careful farming practices and processing procedures. Organic farming is closely monitored, providing you peace of mind as you ponder “what does USDA organic mean” on the label at your grocery store. Crop and livestock farmers and producers of organic products create healthy and environmentally-friendly foods and products that can enrich our lives and boost our health. What are your thoughts on organic products? Are you interested in investing in more organic foods for your family? Tell us why! Hey Buddy!, I found this information for you: "What Does USDA Organic Mean?". Here is the website link: https://backtofarm.com/what-does-usda-organic-mean/. Thank you.